"Best approach to going paperless for HR Document Management"
With increasing awareness of the security and governance risks posed by physical HR files, companies are looking for ways to efficiently convert all of their existing paper records into digital documents, in order to start down a new path that’s exclusively digital. There are no upfront capital expenditures for equipment and technology licenses, and there is no delay for provisioning the platform, with a SaaS solution. 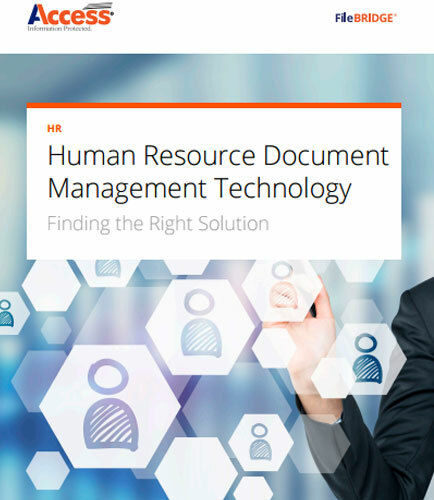 What is the best approach to going paperless for HR Document Management?